Two things I love together in one dish, shrimp and curry! 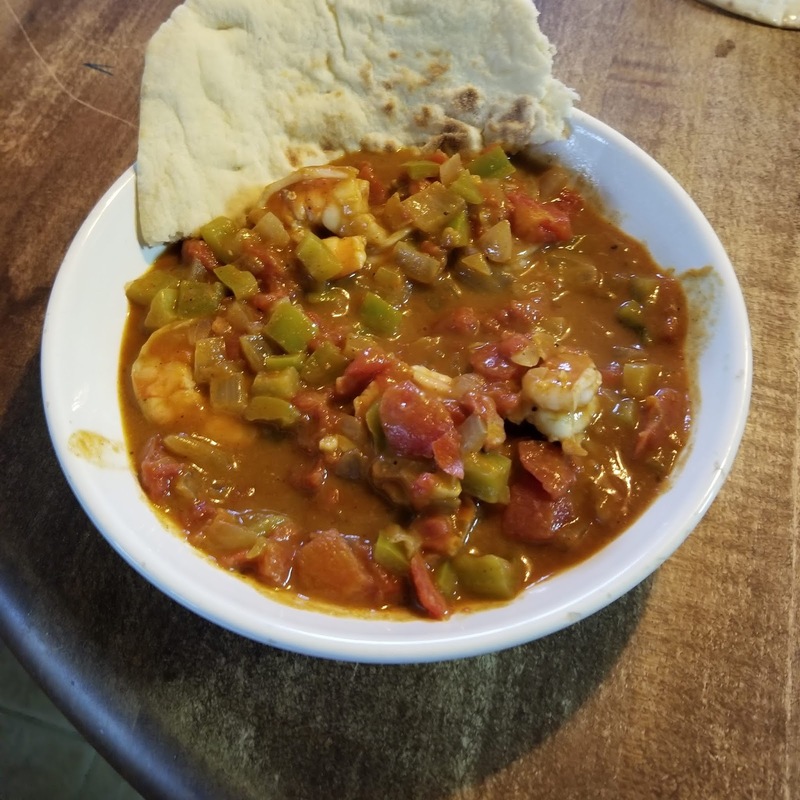 We put this curry dish together with some items we had in the pantry, and it came together pretty easy! For the curry spice, we used the Maharajah blend from Seasonality Spices. Sauté the onions and green bell peppers in olive oil with salt and pepper, until the onions are translucent. Add the diced tomatoes and coconut milk and the Maharajah Blend. Stir to combine. Let simmer for 10 to 15 minutes. Add the shrimp and stir to combine. Let cook for a few minutes, five minutes at most. When the shrimp turn pink, it's ready to eat! This can be served over rice if desired. It turned out a little bit soupy, so rice would help soak up some of the extra liquid. The naan bread is a great way to help scoop everything up!